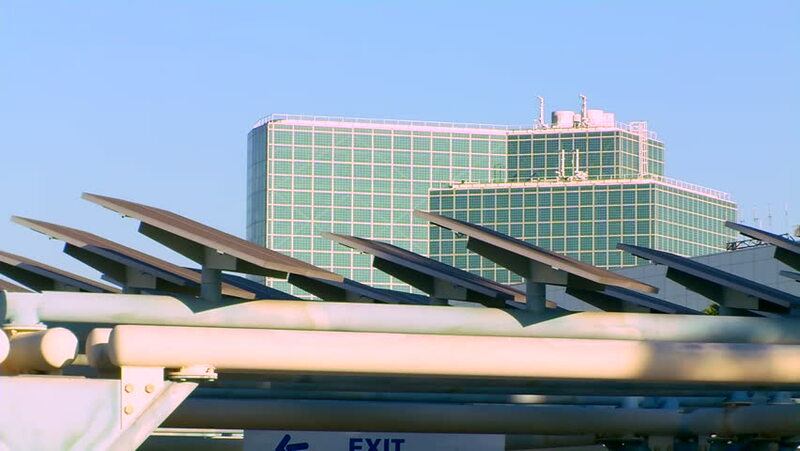 CIRCA 2010s - A solar panel array is used on a parking structure in Los Angeles at the LA Convention Center. 4k00:164K Beautiful businesswoman traveling - walking with luggage at airport car park. 4k00:274K Beautiful businesswoman traveling - walking with luggage at airport car park.